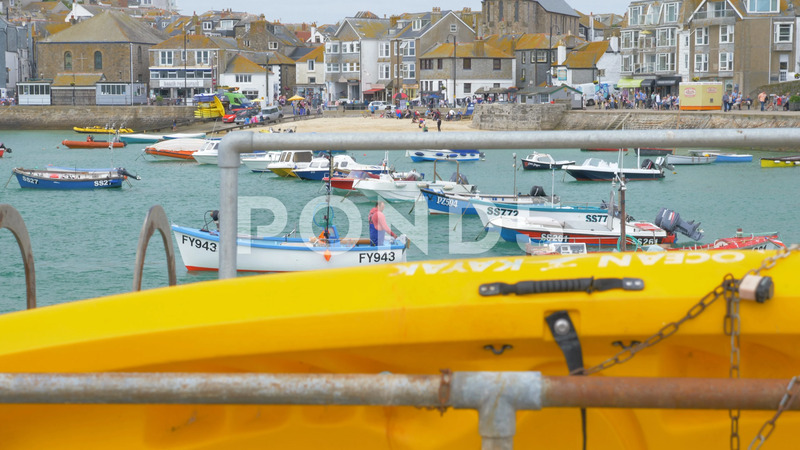 Yellow Surfboards With St Ives Harbour Beyond. Description: Yellow surfboards with St Ives harbour beyond. Cornwall, England.